Provides competent, ethical and compassionate treatment, which seeks to assist adolescents in their goals for living healthy and productive lives. The program is clinically driven in accordance to ASAM (American Society Of Addiction Medicine) criteria, as it seeks to individualize treatment approaches for the unique needs of each participant receiving services. This program will focus on prevention, intervention and treatment of substance use disorders through evidence based practices. These services are provided by staff who specialize in Substance Use Disorder Treatment. To schedule an intake assessment appointment please feel free to contact our intake coordinator at (703) 955-3187. Ages 13-18, male and female, who meet criteria for placement in a clinically managed intensive outpatient program. Each participant will be treated with dignity and respect as they pursue their path of discovery and recovery during their 10-12 week participation in the Intensive Outpatient Substance Abuse Program. As part of their evidenced based treatment, random urine drug screens and alcohol reading strips will be given. The program takes place Mondays, Tuesdays and Thursdays from 4:00pm-7:00 pm, with Thursdays being the family segment of treatment, during the second half of the group starting at 5:30pm and ending at 7:00pm. Monthly ASAM (American Society of Addiction Medicine) assessment to track the individual participant’s progress. Each individual entering the Intensive Outpatient Program for Adolescents will receive a comprehensive biopsychosocial-spiritual and substance abuse assessment from our mental health/substance abuse therapists. Additional assessment tools will be utilized to include the SASSI, C-SSRS, and a pain and nutrition screening. The program participant cannot be in withdrawal, nor be intoxicated. Certain criminal offenses will be staffed case by case. The individual cannot have any psychosis/psychotic behaviors, nor SMI (Serious Mental Illness). The primary (First/Main) diagnosis MUST be a substance use disorder. The program participant must live in a safe, stable, sober and supportive environment. The program participant must be between 13 and 18 years old. The program participant must meet ASAM criteria (2.1 level of care, which is a minimum of 6 hours per week for adolescents) for admission and continued treatment. Program participant needs to have family/guardian support, which will participate in the treatment process. If the program participant is receiving psychiatric medications, they must be under the care of a psychiatrist, and a release of information needs to be signed. We encourage services of psychiatric and mental health/substance use disorders be together with Youth For Tomorrow Behavioral Health Services. The intake process begins with a call to our intake coordinator at (703)-955-3187, and an appointment is then scheduled. Following the screening, the information is then given to our Substance abuse Program Manager, with the appointment, for a full, confidential, ASAM criteria guided, bio/psycho/social/spiritual assessment. Other assessment tools that will be used are: Columbia Suicide Severity Rating Scale, Pain & Nutrition assessment and the SASSI. To enter into the ASAM 2.1 level of treatment, a criteria form is submitted to the ARTS program, for a 72 hour turnaround evaluation for approval. If found appropriate, the participant will be contacted and then begin the Intensive Outpatient Program. Our program will be using the Addiction and Recovery Treatment Services (ARTS) Reimbursement Structure. The ARTS program accepts Optima Health Family Care, Virginia Medicaid/Magellan Healthcare, Kaiser Permanente, Aetna, Anthem Health keepers Plus, Humana, Virginia Premier and INTotal Health. We would bill the individuals insurance first and any co-pays or deductibles would then be billed to the parent/legal guardian and can vary depending on the individual’s insurance plan coverage. To enter into the ASAM 2.1 level of treatment, a criteria form is submitted to the ARTS program, for a 72 hour turnaround evaluation for approval. If found appropriate, the participant will be contacted and then begin the Intensive Outpatient Program. I started my career in substance use disorders in 1994, in a residential substance abuse cottage, with at-risk youth, from the inner cities of New York State. Following this, I entered the outpatient setting, working in a crisis center for the indigent and homeless population, in need of substance abuse services. I would perform individual and group counseling, while referring patients into proper levels of treatment like inpatient, intensive outpatient, outpatient and halfway houses. During this time, I also performed volunteer work in the prisons, working with substance abuse cases in a faith-based organization. I stepped out of the field in what I like to refer to as my “Jonah experience”; a prophet in the Old Testament from the Bible that tried to run from God. This experience had me realize that the field of helping professions is more than a job and career, but a calling of compassion, healing and empathy. I re-entered the field working in medication assisted treatment, and then assisting in the development a substance abuse program and group facilitation with intensive in-home counseling. I have provided services with the probation & parole population, have worked in secure and locked facilities as a therapist developing substance use disorder program, private practice with children, adolescents and adults, as well as a therapist in the outpatient role of Community Services Boards. I specialize in substance use disorders, co-occurring disorders (those with mental health and substance use disorders), anxiety, high/at-risk populations with substance use disorders and criminal thinking. I have Masters degrees in: Addiction Counseling and Professional Counseling. 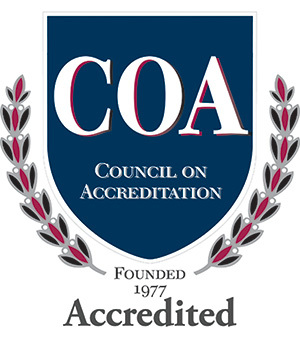 I am a Licensed Professional Counselor, Licensed Substance Abuse Treatment Provider & Certified Substance Abuse Counselor with the Commonwealth of Virginia, Master Addiction Counselor through NAADAC, a Certified Co-Occurring Disorders Professional with International Certification & Reciprocal Consortium (IC&RC), and National Certified Counselor through National Board of Certified Counselors. I am currently a Resident in Counseling (RIC) here at Youth For Tomorrow and am under supervision to obtain my CSAC and LPC. I graduated from Argosy University in 2016 with a Master's Degree in Clinical Mental Health and received my Bachelor's of Science in Psychology/ minor in Biology from George Mason University in 2012. I completed my internships in Psychiatric Rehabilitation Services (PRS) working with adults as well as the Merrifield Adolescent Day Treatment Program. 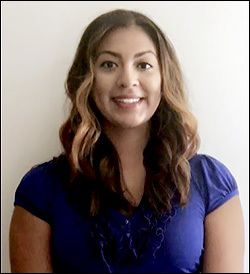 I have experience as a home-based counselor working with families and individuals and have worked with Arlington County Juvenile Courts in a girls' program with teenagers on probation. I am bilingual and speak Spanish fluently. Throughout these experiences I have led and co-facilitated various groups to include: anger management, stress reduction, healthy relationships, substance abuse and conflict resolution. My approach in counseling lies heavily in Cognitive Behavioral Therapy and mindfulness techniques. To schedule an intake assessment appointment please feel free to contact our intake coordinator Kimberly Sharp at (703) 955-3187.